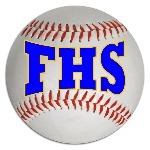 Falmouth Yachtsmen Varsity got out to a five-run lead in the sixth inning and held on for a 7-5 victory over Marshwood on Wednesday. Marshwood scored three runs in the failed comeback on a fielder's choice by Ian Parmley and a double by Quinn McDaniel. Falmouth Yachtsmen Varsity earned the victory despite allowing Marshwood to score three runs in the sixth inning. Marshwood's big inning was driven by a fielder's choice by Parmley and a double by McDaniel. Falmouth Yachtsmen Varsity fired up the offense in the first inning. Ike Kiely was hit by a pitch, driving in a run. Garrett Tracy earned the win for Falmouth Yachtsmen Varsity. He allowed nine hits and five runs over six innings, striking out four and walking one. Garret Aube threw one inning in relief out of the bullpen. Aube recorded the last three outs to earn the save for Falmouth Yachtsmen Varsity. Max Horton took the loss for Marshwood. He went three innings, allowing six runs on five hits and striking out one. Conner Coffin, Kiely, Tracy, Marcus Cady, and Sam Kidder each collected one hit to lead Falmouth Yachtsmen Varsity. Marshwood racked up ten hits on the day. Marshall Smallerko, Jack Cahill, and Nate Curtis all managed multiple hits for Marshwood.